The film showing was followed by a discussion between Giselle Portenier (the award-winning film producer / director), Rhobi Samwelly (the formidable creator and director of the ‘safe house’ programme, now leading the Hope for Women and Girls Tanzania project in the Mara region), Hoda Ali (an FGM survivor, nurse and leading London-based EndFGM campaigner) and the audience. There was much praise for the film and much to talk about. 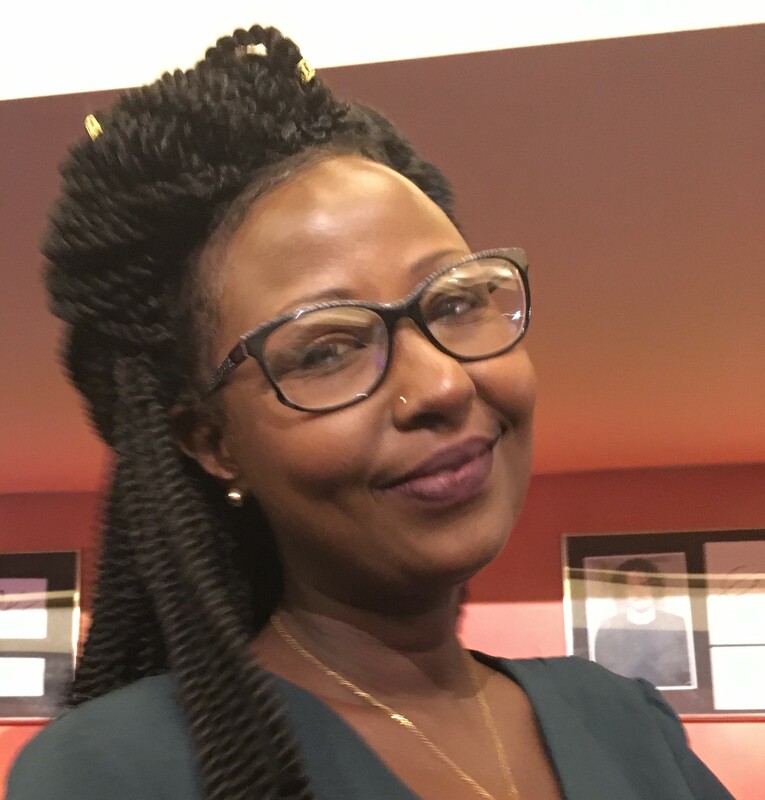 Giselle Portenier told us she had wanted to make a film about FGM for many years, but was always holding back because she knew it should not be a film about desperation. The ‘safe house’ story gave her the perspective she needed – one of hope for the future. Giselle said it took her three years to plan and produce the film; and when the production team was ready, she needed very rapidly to build trust and collaborations with the ‘real people’, some of them very young, who now populate the film. Then, in her commentary, Hoda Ali (left), now a school based FGM educator, was rightly insistent that more must be done, both in the UK and elsewhere, to bring FGM to an end. How, she demanded, can anyone think this is not an urgent and vital matter? 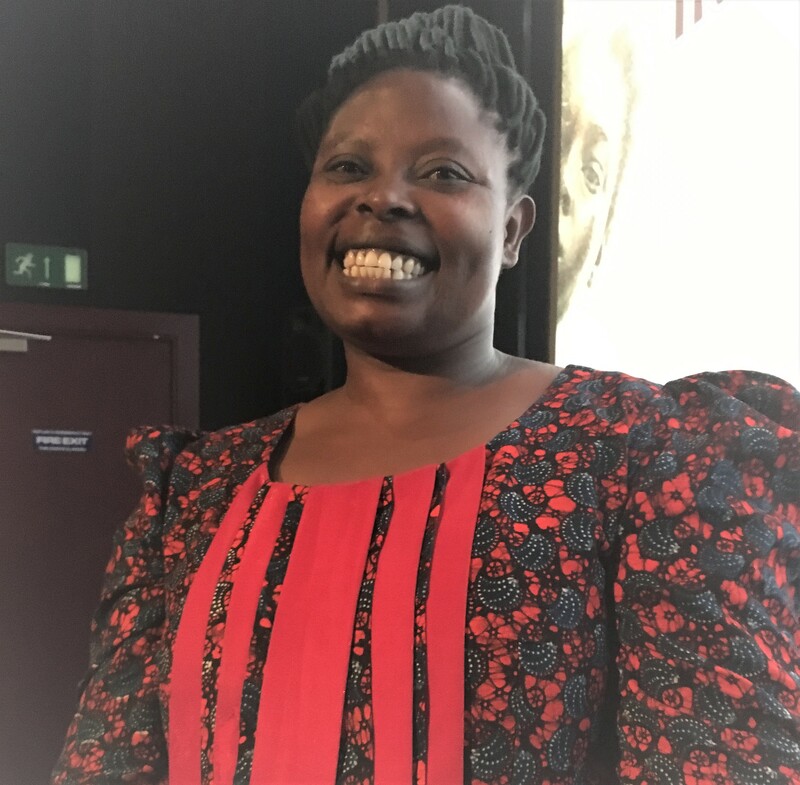 Rhobi Samwelly spoke about how she continues against the odds to develop the safe house concept to protect girls at risk of FGM. Of particular interest to me was the use of modern technology (mobile / cell phones), with at-risk girls in the safe house recording messages for their parents to say they wanted to come back home if the parents undertook (in writing) never to harm them with FGM. The film records Rhobi, with attendant armed police officers and other authorities, showing parents these videod pleas, and then how the parents responded. Reconciliation of girls and their parents is the aim, but it is more likely in families where one parent already opposes FGM. Family reunion is however not always possible even with the serious threat of imprisonment for anyone who commits that crime: the film illustrates directly how some parents defy Tanzanian laws against FGM, seeking rather to gain more cattle when their ‘cut’ (and therefore more financially ‘valuable’) daughter is sold in early ‘marriage’ – which, Rhobi makes it very clear to those concerned, is a traditional perspective now completely unacceptable. Girls need safekeeping, nurturing and education, just like their brothers. But in some ways the situation is becoming more, rather then less, challenging. In Tanzania the cutting season is the last few weeks of the year, when the harvest comes in; but because the authorities are now alert to the dangers at this time, FGM is being brought forward to earlier in the season – even October – and done under cover of night. Only the boys are circumcised in daylight ceremonies or, as now recommended in the Mara region to reduce risk, in hospital. For me, as an observer watching In The Name Of Your Daughter, one question comes to the fore: what about the economics of FGM, where’s the money? The film makes it clear that many in FGM practising communities depend for income on revenue from the FGM ‘festivities’; and this aspect is also considered here. Given that even in wealthy countries such as the UK we see women’s refuges disappearing,* how does Rhobi find the funds to continue her work? How can it be extended, when, as we learn in the film, many more girls still undergo FGM than manage to find a safe house? Giselle told us that the problem of funding is huge. Rhobi now runs two new safe houses, both in rented accommodation and seriously in need of more funding. *There are no FGM refuges for girls to run to in the UK – just a phone line: 0800 028 3550 but no nation-wide, coordinated cross-local authority care. Anyone wishing to support Rhobi’s work can donate via this webpage. So there we have it. A millennia-old harmful tradition is still defended, even demanded, by some people who have access to modern technologies such as mobile phones, whilst these technologies are also crucial in combatting this abuse. Modern, highly trained state officials are working with people in remote communities to protect their daughters and, as Rhobi points out, thereby also to enhance the economic contribution that these girls, as young women, will be able to make to their communities and country. Indeed, one striking element to come through in the film is the extent of agency and autonomy which very young girls, even aged just five, may exhibit. Some are simply kidnapped or forced to undergo FGM, but others have a choice of sorts, unlike the girls who have FGM and die from it, their bodies abandoned in the wild. Girls may be threatened with dreadful fates if they refuse to be cut, but sometimes they still of their own free will withhold consent. These are heart-breaking decisions – my body uncut, or my mother? – no child should ever have to make, but make them some must. Inevitably, some parents simply go ahead and force their daughter into submission – remember, a cut ‘bride’ (aged, say, ten) is ‘worth’ about twice as many dowry cows as an uncut one – but other parents, it seems, do not insist. The cost to the child can however be extreme. Having failed to secure a return on her father’s ‘investment’ in raising her for a dowry, a girl may be disowned and uncared for, her future is uncertain. She is on her own unless the safe house, and a decent education, comes to the rescue. How this dreadful price for ‘choice’ plays out for dissenters over time remains to be seen. One factor in the outcome is who leads the community, and what he personally thinks. Girls refusing FGM may force communities to look more closely at the harmful traditional practice of FGM; or perhaps not, if community leaderships knowingly continue to break the law in support of age-old practices. There are complexities and challenges at every level, but slowly the message is being delivered. 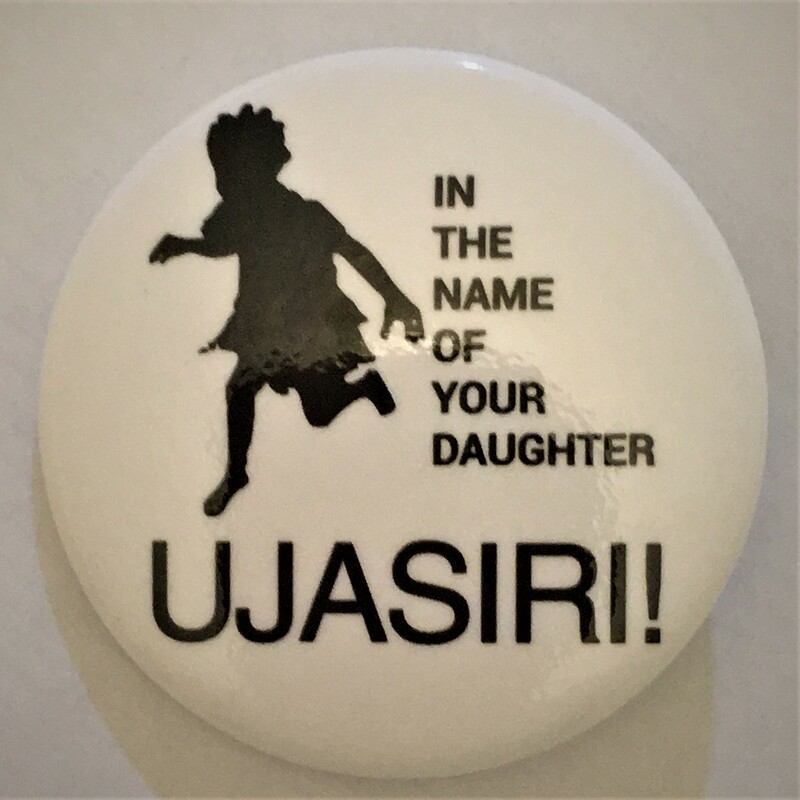 Those young girls reunited with their families have learned the lesson of their teachers (and the ITNOYD badge): UJASIRI in Swahili translates into English as Courage! These girls return to their homes unscathed and determined that the ancient tradition of FGM must end. And so, with the work of Rhobi, Giselle, Hoda and others, it will. This article concerns approaches to the eradication specifically of FGM. I am also categorically opposed to MGM, but that is not the main focus of this particular piece. Anyone wishing to offer additional comment on more general considerations around infant and juvenile genital mutilation is asked please to do so via these relevant dedicated threads; or, if relating to this particular piece, please connect your comments with the wider considerations of FGM as well. Discussion of the general issues re M/FGM will not be published unless they are posted on the dedicated pages as above. Thanks. So glad to hear this, Sayydah! and delighted that my friends are joining up in these ways.